Hi friends! 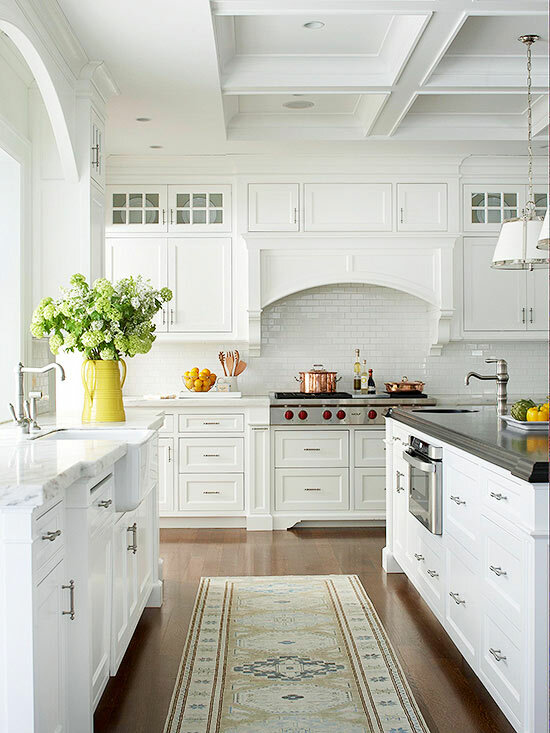 I love White Kitchens! 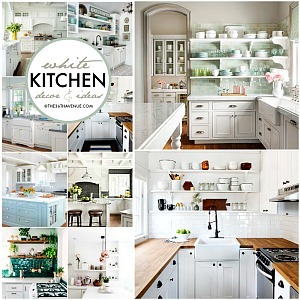 We gave our old wood kitchen a final makeover two years ago and I can say that choosing a white kitchen design was the best home decor decision we have ever made! 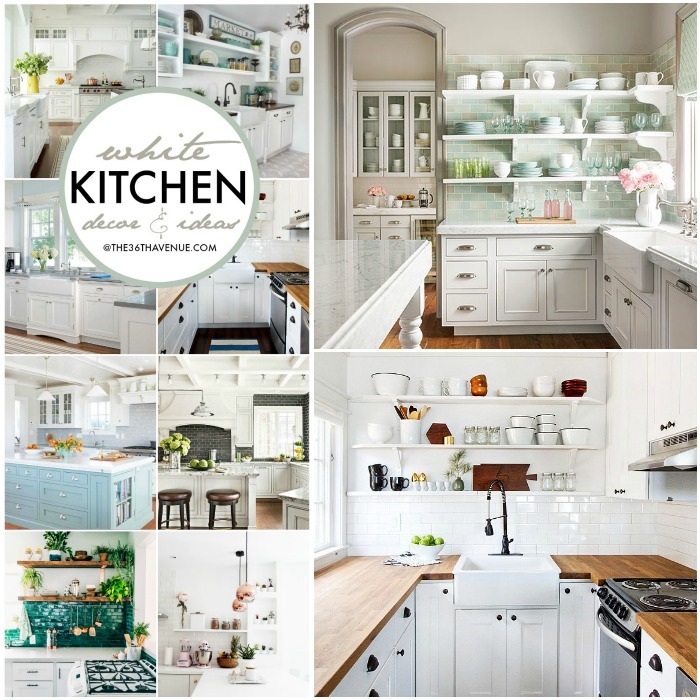 Today I’m sharing some gorgeous White Kitchen Makeovers that I have a feeling you’ll love… Perhaps these will serve as inspiration for your next home improvement project! 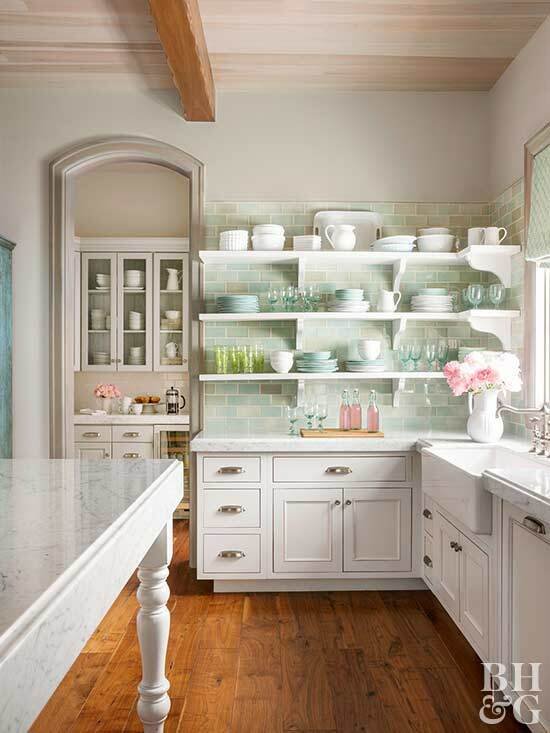 Click HERE to take a full tour of our kitchen! The wood floors and wood ceiling beams are amazing! Don’t you love the aqua touches? I do! 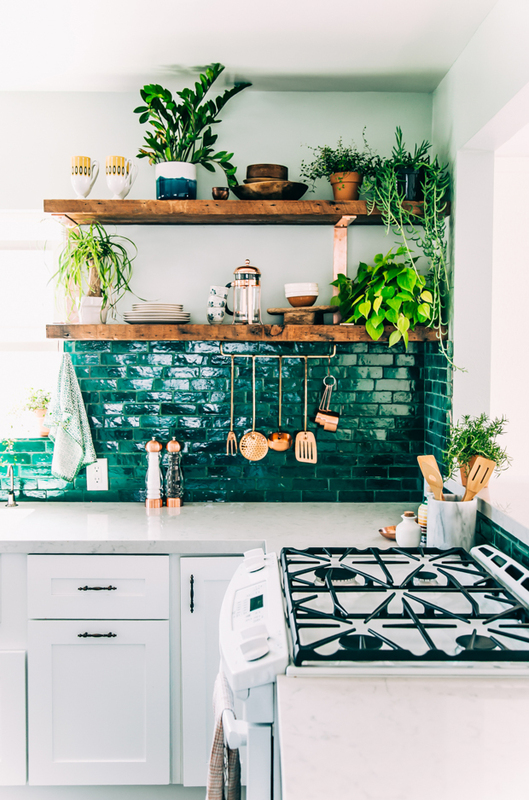 There are so many amazing design elements here… I love the open shelving, the gorgeous backsplash, and the greenery! 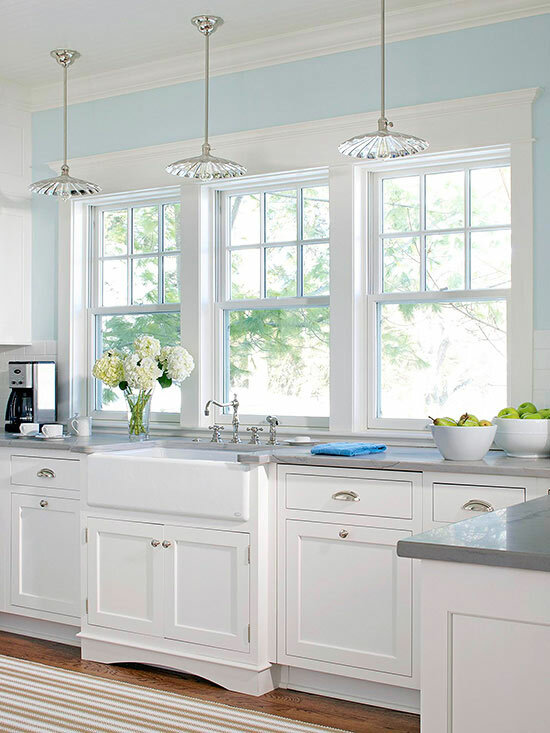 I’m in love with the large windows in this kitchen! 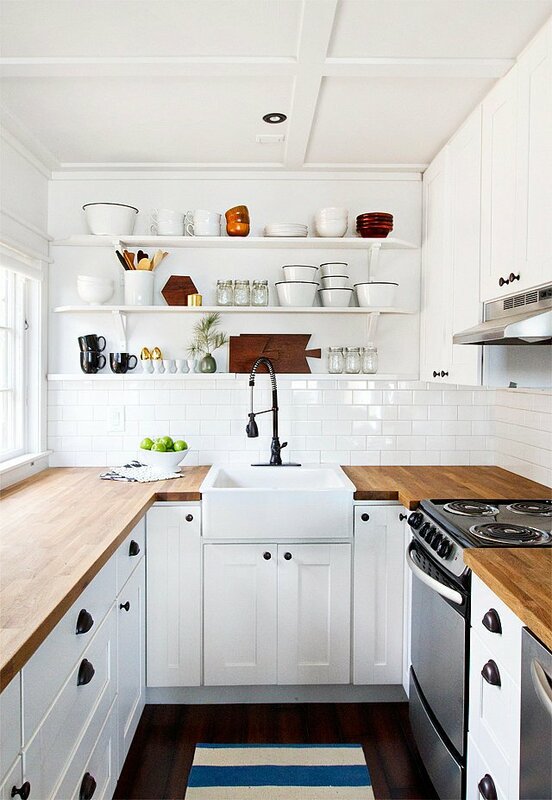 Two thumbs up for the wood countertops! 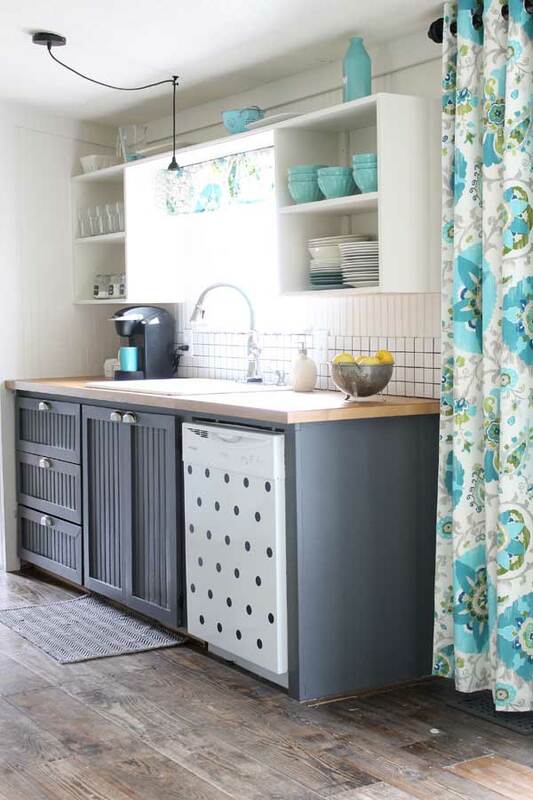 Those curtains are making me all type of happy… Cutest kitchen EVER! 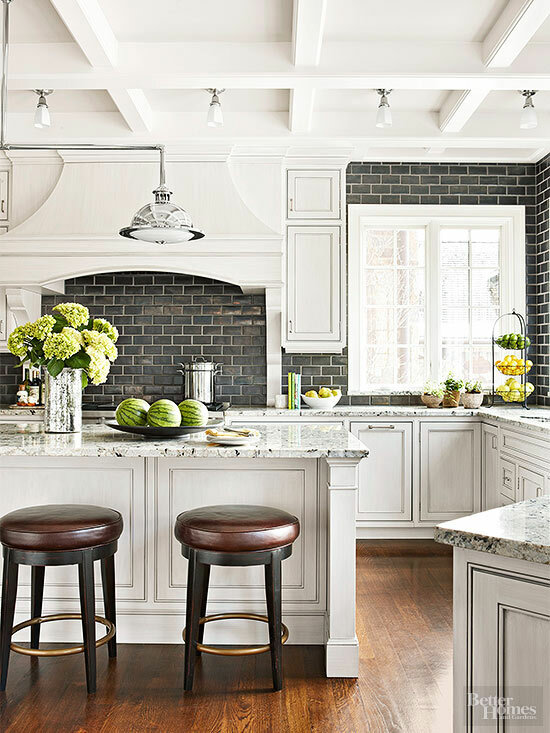 This kitchen is all about contrast and personality! 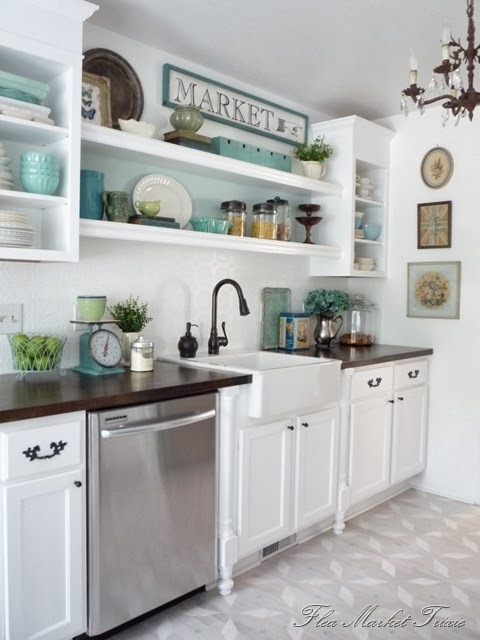 Love the splash of aqua! You won’t believe the before and after. I love the copper and pink accents! Must see the before and after pictures! 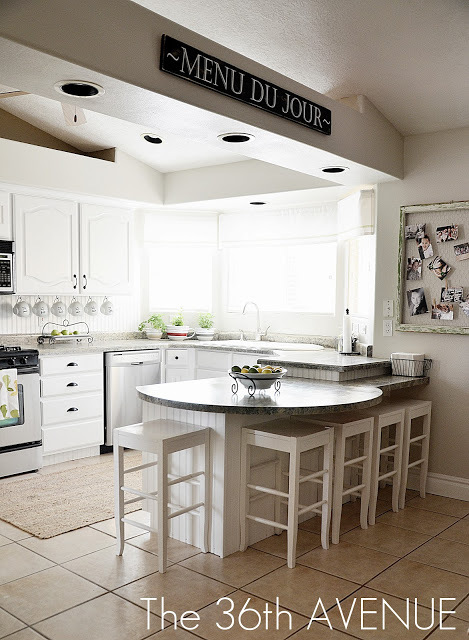 Here is our first DIY kitchen makeover! Here are some other Home Decor Ideas that I love! My kitchen is white, and I wish it was almost any other color. 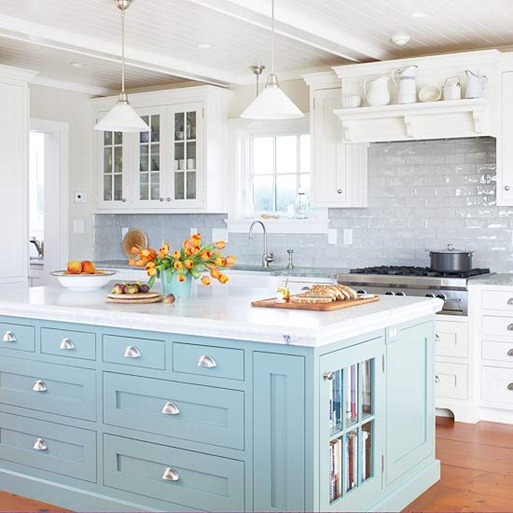 To live with or in a white kitchen, you either need to be a cleaning fanatic or so danged careful that you never spill a drop of anything. The things you spill (aside from water) show on every white surface. – Boo. 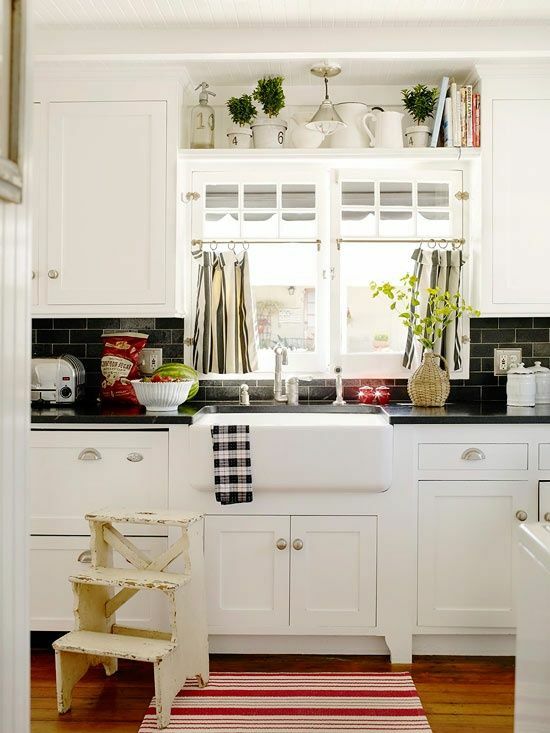 Other than those little draw-backs, a white kitchen looks great… but I’ll never have another if I have my say about it, because it’s too much work to keep a white kitchen looking it’s best. Living in a rental gives you absolutely no choice in kitchen decor/style or updating. – Double Boo.